Festivals, county fairs, craft shows, women's expos and "shopping extravaganzas." All of these venues are great places to gain exposure for your business, provided you go about it the right way. Are you looking for individuals to join you in your business? Is your home party calendar for the next two months emptier than you would like it to be? Are you in need of additional sales this month? If the FOCUS for doing an event is #3, do NOT do it! Instead, get on the phone. You will make more sales by providing good customer service! Your focus for any event should always be #1, then # 2! That said, any sales made are "gravy." How much does the booth space cost? Is it a few hours, or is it every day for 10-12 hours for 7-14 days? Saturday or Sunday events should only be 10a-2p…no one shops before 10 or after 2. If you're working a county fair or women's expo that has long hours over multiple days, find at least one other team member to work the event with you. Attendees are more likely to book parties with consultants who are "fresh" and "fun." Is this the first year for the event? What is the target market for attendees? Does this match your target market? If the target market is seniors (55+) and your target market is 30-55, skip the event! Will they be depending on you to invite your customers? My customers do NOT attend events – they go to home parties and open houses at my home. Is this an area you are willing to return to in order to hold parties or train new team members? If you sell jewelry or purses, don't bring your entire inventory. A few samples will give attendees an idea of what you offer — enough to entice them to host a party. If you sell food, use empty boxes for your display. Do a drawing. Make it enticing, but cost-effective. Do not give away products. Give away a "free party" or gift certificate that offers free X amount when they spend X amount. Keep the drawing slips with you. Hand the drawing slips out to everyone who stops by and while they are filling out their info, ask questions…then take the slip and make notes before placing it in the draw box. Ask "If you win the free party, which month works better for you, July or August?" Design your drawing slips to help you focus on your target market. Add age brackets (21-29, 30-55, 55+) and a check box for fundraising info. If you sell food products, don't sample. No need to hand out current catalogs to everyone who stops. If you can use old catalogs at a lower price, use those. Postcards with your info work, too. Smile and greet every person who walks by. Don't bury your head in a book or your phone! Be prepared to schedule parties and recruit right there. Have host and recruit information handy. If you have online enrollment, bring your iPad or laptop and get it done then and there. Offer an incentive for booking close. If they book the first week after the event, offer an additional $50 in free product. Second week-$40, third week-$30, fourth week-$20. Fill your calendar then and there to save follow up time. Be sure to schedule follow up time. Don’t spend Money unless you’ve made Money! If you follow these simple steps, AND follow up with the leads you collect, an expo/event can be very worthwhile. As you progress in your business, the need to work events like this becomes less important; however, they can also be used as a great tool for teaching new team members and helping them find new leads. 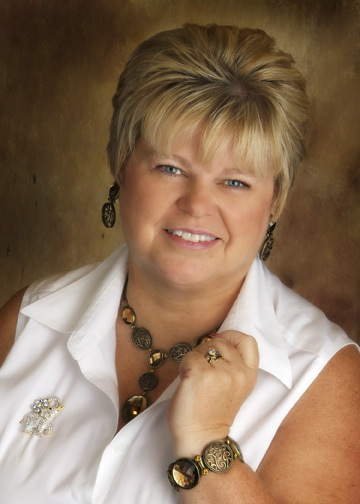 Meet Guest Blogger Kay Thibodeaux! You can connect with Kay on her Facebook page at www.facebook.com/giftsbykay or on her website at www.giftsbykay.com.